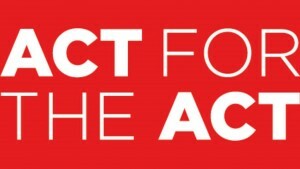 Garden Court Chambers is proudly supporting the #ActForTheAct campaign – a crowdfunded campaign to promote powerful stories about the change that the Human Rights Act has brought about for ordinary people. The campaign aims to counteract the negative narrative about the Act, that is so often promulgated by politicians and in the press. Funds raised will go towards a nationwide poster campaign across the national transport network, hoping to reach the 7.3 million people who use National Rail daily, and the 4.2 million people who use the London Tube. The posters will focus on what the Act has done for ordinary people. These include women at risk of violence, elderly people, people with disabilities and victims of crime. Over £50,000 has been raised so far for the campaign and the more money raised, the further the project can reach. Though a graphic designer and photographer have been enlisted for free, the bulk of the costs lie in the publicity on the transport network. If the target of £65,000 is reached, a dedicated website and digital campaign can be launched. £100,000 would enable the campaign to be rolled out across England, Wales, Scotland and Northern Ireland. Donate now and help ensure that this vital piece of legislation is protected - all the information you need can be found via the #ActForTheAct page on the crowdfunder website. Send in your Human Rights Act story using this application form.